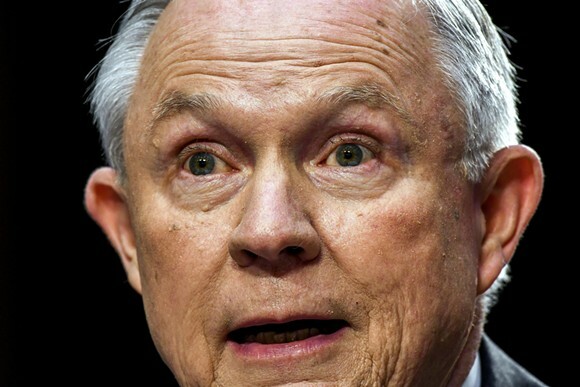 In the memo sent to U.S attorneys Wednesday morning, Sessions related that “appropriate cases” in which one would charge the accused with the death penalty include murders related to racketeering crimes, murders related to a criminal enterprise or gun deaths during drug trafficking crimes. This means the drug dealers who could face the death penalty must be directly involved with murderous crimes due to the selling, transporting and cultivation of mass amounts of illicit drugs. In addition to describing the statues in which an accused would be charged with the death penalty, Sessions also proposed appointing an opioid coordinator in every US district and broadening the use of data analysis tools collected from the Opioid Fraud and Abuse Detection Unit. “I strongly encourage federal prosecutors to use these statutes, when appropriate, to aid in our continuing fight against drug trafficking and the destruction it causes in our nation,” Sessions said in the letter. Since declaring the opioid crisis a national emergency, the Trump administration has repeatedly addressed the fact that in 2016, 64,000 lives were taken due to opioid related deaths. President Trump has been outspoken about the new nationwide enforcement, “We can have all the blue-ribbon committees we want, but if we don’t get tough on drug dealers we’re wasting our time. And that toughness includes the death penalty,” Trump said in a speech in New Hampshire. This new proposal will only broaden the statutes allowing prosecutors to pursue the death penalty that have already been embedded in U.S. law. But the 1994 clause permitting the execution of certain drug traffickers, even those who have been involved in drug-related murders, has never been used before, the Washington Post reported on Tuesday. You can read the Memo from Sessions here. Drug traffickers, transnational criminal organizations, and violent street gangs all contribute substantially to this scourge. To combat this deadly epidemic, federal prosecutors must consider every lawful tool at their disposal. This includes designating an opioid coordinator in every district, fully utilizing the data analysis of the Opioid Fraud and Abuse Detection Unit, as well as using criminal and civil remedies available under federal law to hold opioid manufacturers and distributors accountable for unlawful practices.